#1 – The lower price tag. You can get a Samsung S9+ for $720.00 – $840.00 and the iPhone X starts at $1,000.00. Yes, these phones are super expensive, but the S9+ is still $160 cheaper. #2 – The headphone jack. I am happy that Samsung didn’t copy any of these major brands that are doing away with the headphone jack. It’s not a huge aspect, but it certainly comes in handy when you forget your headset adapter for the iPhone X. Also, if you use the auxiliary port in your car without the adapter or a regular jack you are going to be up a creek without a paddle. #3 – The fingerprint sensor. I know a lot of people would rather use their fingerprint sensor than facial recognition. I am among those people myself. The world already has a ton of recognition data points in my life. I’d like to save my face for at least as long as I can. Maybe a bit extreme, but who knows the long-term effects of these invisible sensors burning up your face. When the X-ray machine first came out they didn’t use the protective gear they now use after understanding its negative effects. #4 – The dual-aperture camera. Camera in the S9 and S9+ is definitely impressive and much better than the iPhone X. 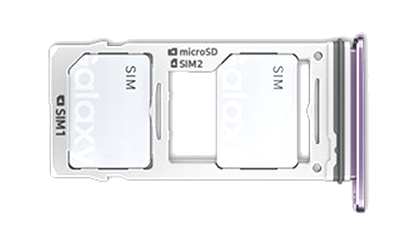 If you run low on your internal storage you can simply put in a microSD card for up to 400GB of expandability. It’s a shame that most OEM manufacturers are ditching this method. #6 – More advanced LTE radios. For example, on T-Mobile, you’re getting 4×4 MIMO and 256 Quamm as well as band 71 which allows you to tap into T-Mobile’s 600 megahertz spectrum that allows for much better coverage especially in suburban areas of the country. 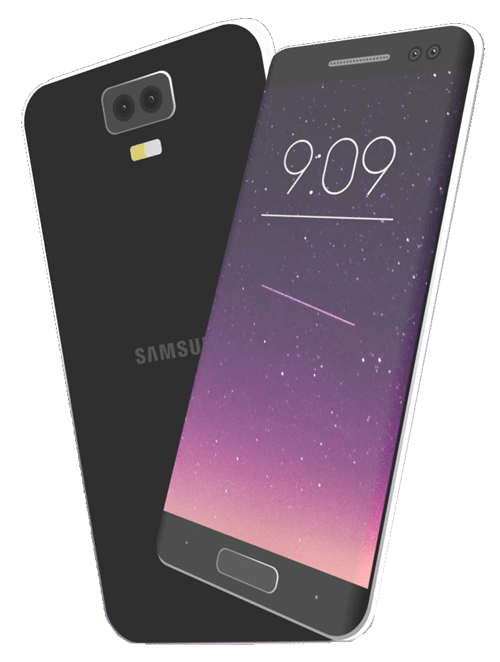 #7 – The OLED display. Samsung’s S9 and S9+ has one of the best OLED panels on the planet. The Samsung screen is drop-dead awesome. It is clearly the king of smartphone screens without a shadow of a doubt. With the default settings set at the Adaptive Display mode, the colors are not super accurate, however, with the beauty of Android you simply go into screen mode and into customizations and go to the basic screen setting to get a more accurate color profile. The notch has been blown out of proportion but to me, it doesn’t really bother me in portrait mode. However, when watching videos or doing anything in landscape mode it becomes a sore thumb. It is true that many third-party developers have worked around it nicely. It would just be better without a notch in the first place. Maybe Apple will remedy that issue, maybe not. #9 – The Android operating system. The ability to change and rearrange icons, change system fonts and different launchers are just a dream come true for people that love to customize their phones. Every Android phone has the ability to look completely different than another one. As far as rearranging icons you can do so on both OSes, but the iPhone OS doesn’t allow you to have icons sit independently or separately, it requires the icons to be sequential. With the Android OS, you can put individual icons wherever you want. 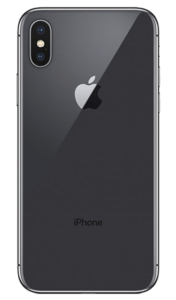 For 10 years the iPhone has kept the same boring layout. Last but not least you get fast charging right out of the box. Apple wants us to spend an additional $75 to use fast charging. To me, that’s just price gouging Apple users. I miss the days of ol’ Steve Jobs. 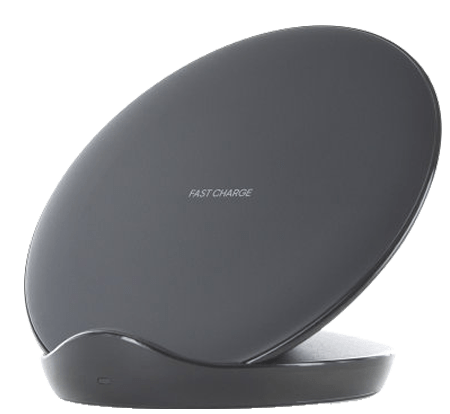 To make matters worse, you can’t even use a USB-C from a MacBook Pro, but I can use an S9+ for fast charging. #11 Bonus Point: Dual SIM capability. Although it is an upgraded version with the product model number ending in “DS” for dual-SIM, the Galaxy has the option for 2 SIM cards whereas Apple has yet to hook us up on that. For me personally, that’s Apple’s biggest con. 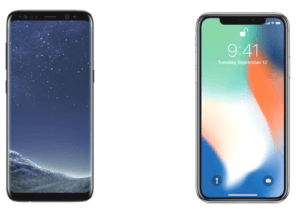 I know not everyone feels the same, but in a day in age where it’s a reality on much, Much, MUCH cheaper phones, Apple should also offer the Dual-SIM support feature. While you will be able to place two SIM cards, you will not able to expand your storage in this manner. This is what is known as a hybrid SIM card tray. 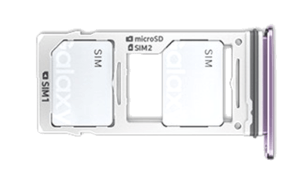 You can either place a microSD card and a single SIM card combination or two SIM cards. But either way, having the option is awesome compared to Apple’s constrictions.